Sabrina is our resident pre and post-natal pregnancy Pilates instructor based at Tribe Porty. Pilates is the perfect exercise method to keep you in shape throughout your pregnancy and beyond. Not only will it keep you strong and flexible, but it is the perfect antidote to the discomforts sometimes associated with pregnancy. 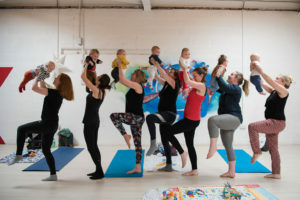 Book a FREE post-natal Pilates trial today! The big added bonus is that because Pilates practice engages your deepest core muscles, pelvic floor, hips and spine, you will develop muscle strength and memory that will help your body recover faster after giving birth. Although Pilates is one of the safest workouts you can do when you’re expecting, be sure to check with your doctor before you begin to practice Pilates or any other workout program. How can Pilates help me during my pregnancy? Pilates strengthens your abdominals, back and pelvic floor muscles without straining other joints, so it’s a great exercise to do when you’re pregnant. Some research suggests that doing Pilates regularly can be as effective as doing pelvic floor exercises. It’s a fascinating way to engage with your bundle of joy whilst you are exercising and looking after your body, mind and state of spirit. The class is designed to create a happy and atmospheric place, practicing all Pilates exercises using all the principles with small equipments such as: Pilates Bender balls, Tennis balls, Dyna Bands, Pilates Rings and lost of Core, Posture and Pelvic Floor muscles engagement throughout the whole session. Pre and postnatal Pilates is suitable 6 weeks after natural birth and 9 weeks after c section. You can start at 13 weeks pregnancy (unless you are already doing Pilates classes every week), and continue right up until 40 weeks if feeling fit & well. 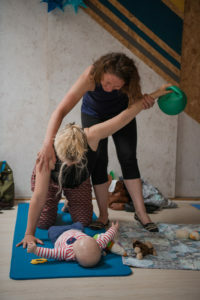 For post-natal Pilates, please bring a floor blanket for your baby and some soft toys to keep your baby amused during the sessions. 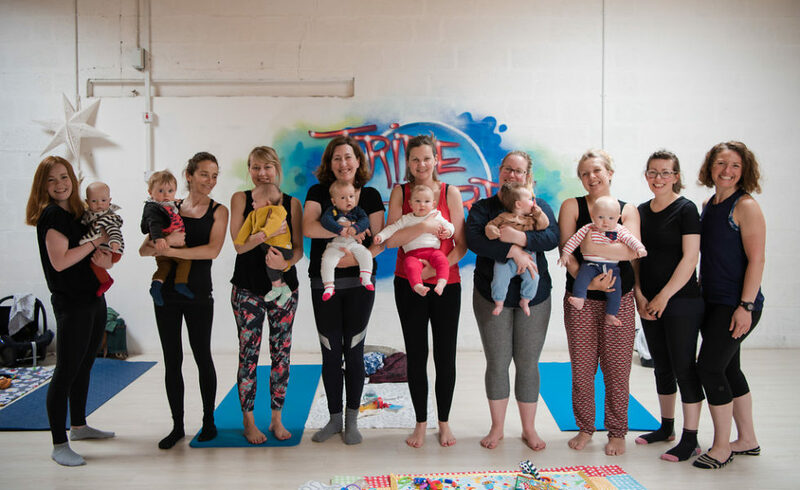 Book Your Mother & Baby Post-Natal Class through our secure online booking system. Classes are currently running Mondays at 10:30am and Thursdays 1.30pm and will run continuously throughout 2018, except on Monday Bank Holidays. Register your details first, then you can purchase individual classes or buy packs of 6 per Block, and/or 4, 6 or 10 Studio Pilates Sessions to use as and when you feel like it. The expiry dates for these will be extended during your pregnancy (if applicable) so that you don’t lose sessions if you’re feeling under the weather one week. If you have any specific questions please give us a call and we will be happy to help.